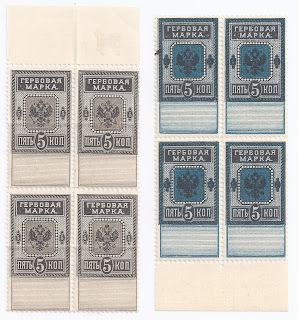 Here are Colour Trials of Imperial Russia's 1887 General Fiscal Issue - lovely ** blocks 4 from Agathon Fabergé's collection. But look at the backs. 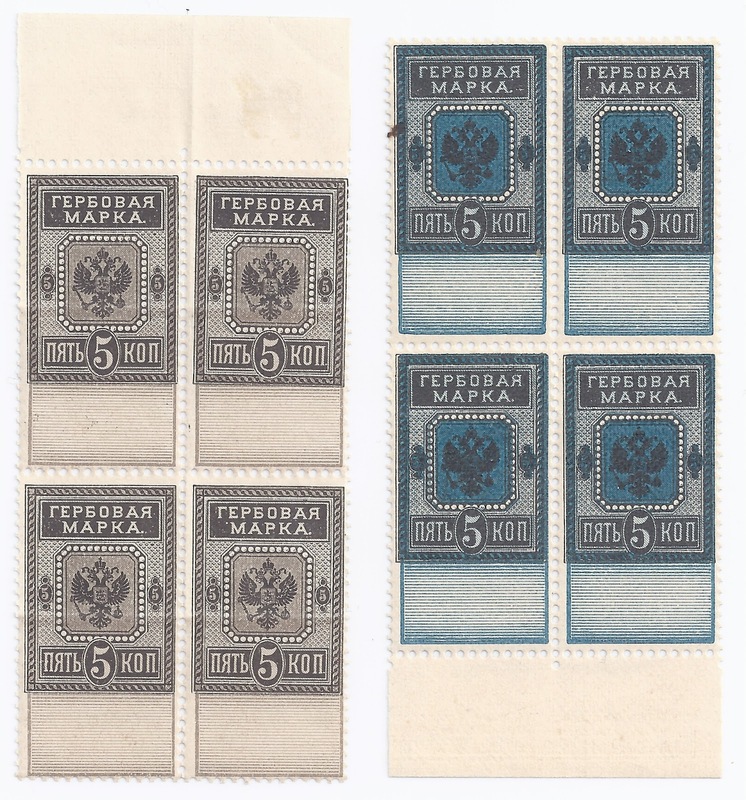 It is clearly deliberate - only part of each stamp is gummed. Why? Often, Trials are not gummed at all - there is no need; they are not going to be used. If they are gummed, then they are gummed normally as if they are the finished product. Why this half gumming? 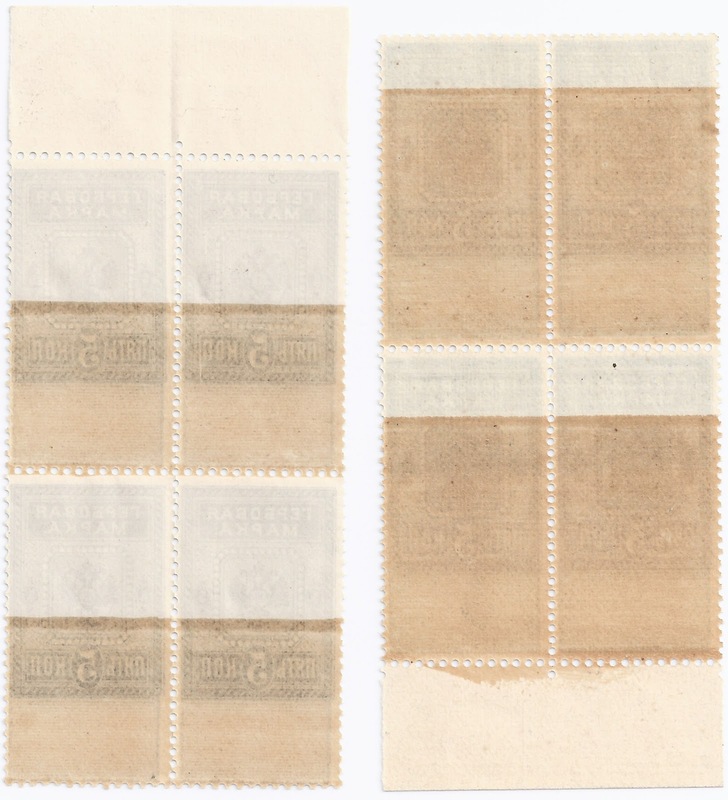 My GUESS is that someone wanted to test the effect of the gum on the appearance of the front of the stamp. Does anyone have a better guess - or even real information?